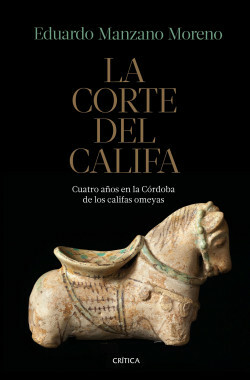 During the second half of the 10th century, the Caliphate of Cordoba became the largest political and cultural power in the West. A place visited by embassies and merchants from all over the Mediterranean, al-Andalus experienced a period of great splendor reflected in the flourishing of the arts and letters. The peak of this supremacy came during the reign of the Caliph al- Hakam II (961–976), famous for having one of the largest libraries of its time, for his works to expand the mosque of Cordoba and for the sumptuousness of the palace city in which he lived, Madīnat al-Zahrā, located a few kilometers from the capital. This book is based on an extraordinary text that has never before been the object of a complete study: the annals that an official and chronicler of the Caliph’s court wrote almost daily between June 971 and July 975, which offer an expansive portrait of the Umayyad caliphate by the hand of an eyewitness.